IPDM Council members were in Kota Kinabalu on 31 March 2010 to launch the MIDA 2010 for Design and Industry Excellence at the Ocean Seafood Restaurant. It was a simple ceremony attended by IPDM Sabah members and PAM Sabah Chapter committee members. A baton was brought from IPDM HQ where it was passed on by the longest serving MIDA Chairman, Ar. Chris Yap to the current MIDA Chairman, Ms Monie Mohariff and then from one council member to another to finally reach the President. 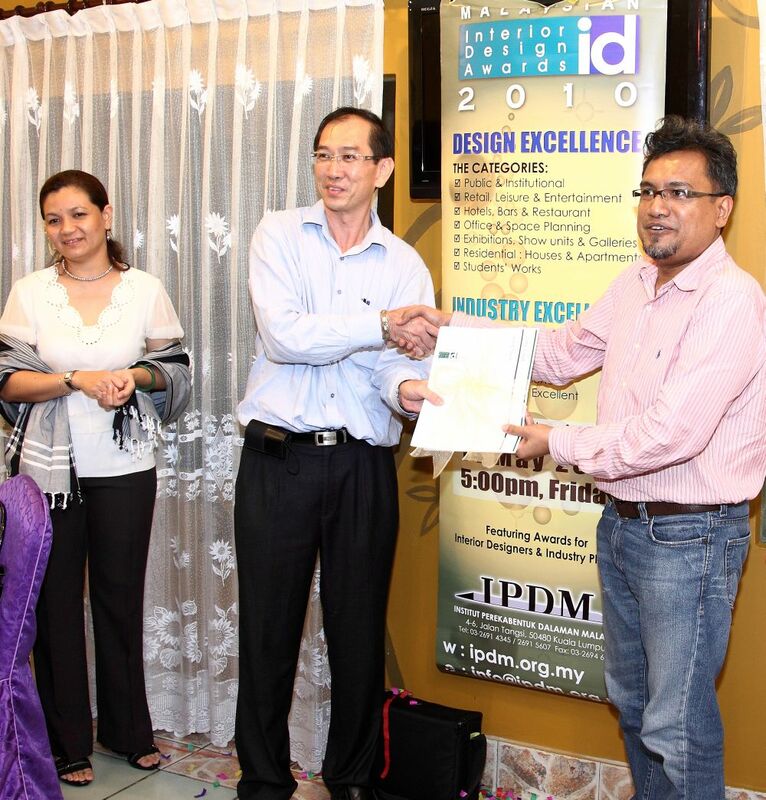 The IPDM President, Encik Mohd Suhaimi Fadzir then un-leach the scroll to the sound of confetti and applause and declared the opening of the Malaysian Interior Design Awards 2010 for Design and Industry Excellence. « id-x interior design exhibition 2010 (1-4 April 2010, City Mall, Kota Kinabalu).